The Bella Tables by Hanamint feature patterned table tops that match the Bella pieces of furniture that include dining, deep seating and other outdoor seating options. Hanamint is a master of the outdoor furniture industry, now one of the largest and most highly regarded designers. Hanamint has become the top tier for customers worldwide, and Family Leisure customers look forward to the yearly expansion to their furniture offering. This year, we are proud to bring you a huge selection of Bella style outdoor tables in every size and shape to meet your outdoor surface needs. Look below to browse the dimensions of each table. 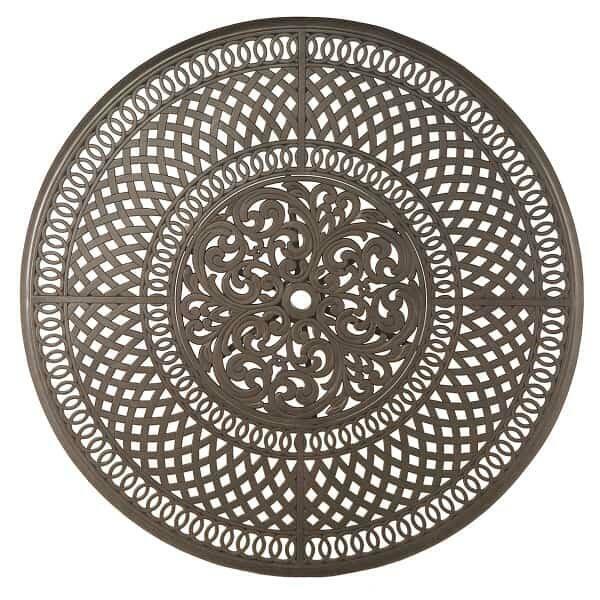 Big or small, each outdoor table comes with the Hanamint mark of high value craftsmanship.